During his media conference on Thursday, Russian Foreign Ministry spokesman Andrey Nesterenko discussed pressing issues in Russia’s Foreign Policy. RT presents the full transcript of the address. Good afternoon, ladies and gentlemen, colleagues. We are continuing with our work, and today I’d like to inform you about what we think were the most important events since our last meeting and also comment on the questions you sent us. First of all, I’d like to mention that on June 4-6, the XIII St. Petersburg Economic Forum took place. The main subject of the forum was to look for ways to overcome the current global economic crisis, issues of reforming the international financial system and the prospects of the Russian economy’s further development. This year the St. Petersburg Economic Forum had a very good representation: there were more than 3,500 registered participants, more than 250 official delegations, more than 400 Russian and 300 foreign companies. Also, eight deputy prime ministers of the Russian Federation and 26 ministers from various countries were present. Overall, 83 countries were represented. This year, the organizers wanted the forum to serve as an intellectual platform for economic discussions, which it did. Moreover, dozens of contracts and memoranda worth billions of dollars were signed at the forum. After that, on June 6-7, St. Petersburg hosted the 1st World Grain Forum. 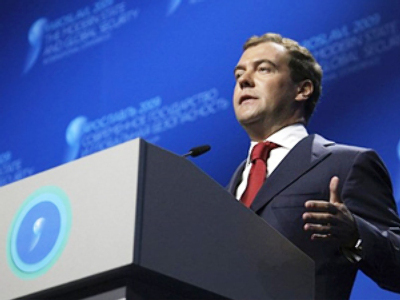 This forum was organized on the initiative of the Russian president, Dmitry Medvedev. The idea was supported by G8 leaders last July at the G8 summit in Japan. At this forum, urgent matters were discussed in a multilateral format. These matters will play a key role in further dialogue between countries and will lay the foundation for making concrete decisions on the matters of stable development of world grain production, liberalization of grain trade, development of approaches to the stabilization of the world grain market and optimization of mechanisms for providing food aid. We’ve reached a common understanding that at the time of the global economic crisis holding such events on a regular basis is a necessity and that ideas proposed at the forum can lay the foundation for future mechanisms that will ensure global food security. Also, I’d like to point out that on the eve of the Grain Forum an article by the president of the Russian Federation was published in a number of major Western media outlets. The complete text of the article has been published on the official web site of the Russian president. On June 9, negotiations between Russian Foreign Minister Sergey Lavrov and his Belarusian counterpart Sergey Martynov took place in Moscow. Key matters of Russian-Belarusian relations and bilateral cooperation in international affairs were discussed at the talks. The Belarusian minister’s visit to Moscow was part of an earlier agreement about the further strengthening of cooperation and the intensification of contacts between the foreign ministries of the two countries. Such a dialogue takes places regularly, covering practically all problems of international politics. Such comprehensive cooperation is in keeping with the Program of Joint Activities in International Affairs for 2008-2009. Russia and Belarus support each other in international organizations and protect each other’s interests on the international arena. Our close, intimate consultations on various regional and international problems have become a good tradition. Every year, we hold joint meetings of the Russian and Belarusian foreign ministries. On June 9, we discussed preparations for the next such session, which will take place in November in Minsk. A detailed report about the negotiations has been published on the Russian Foreign Ministry’s Web site. The German Foreign Minister, Vice-Chancellor Frank-Walter Steinmeier, completed his visit to Russia yesterday. During his visit, Mr. Steinmeier had productive meetings with President Dmitry Medvedev, Prime Minister Vladimir Putin and his Russian counterpart, Sergey Lavrov. During his visit, Mr. Steinmeier gave a lecture at Moscow’s House of Scientists, which received much attention from the media and was widely discussed in political circles in both Russia and Germany. Also, the German Foreign Minister took part in the opening ceremony at a haematology centre for children, which was built by a German company. On June 16, following the Shanghai Cooperation Organization summit, the first official BRIC summit will take place in Yekaterinburg. The decision to organize the event was made by the leaders of Russia, Brazil, India and China last July during their short meeting on the margins of the G8 summit in Japan. It’s expected that during their meeting in Yekaterinburg the parties will review the political, economic and financial situation in the world and discuss matters of cooperation between BRIC countries to overcome the global financial and economic crisis, the progress of the process started at the G-20 summit, the prospects of the dialogue between the G8 and its traditional partners, which include Brazil, India and China. The matters of reforming international financial institutions, ensuring global energy, food and climate security, and furthering international development are also on the agenda. After an exchange of views, it is expected that the leaders will adopt a joint statement reflecting their comprehensive view of today’s stage in the world’s development and formation of a more just and democratic world order through multilateral cooperation in keeping with the rule of international law. We believe that the content of the statement will make a significant contribution to the international discussion on ways to overcome the global crisis. We are confident that successful cooperation in the BRIC format will help increase the predictability and stability of the world’s development. The summit should provide a new impetus for the equitable dialogue and mutually beneficial cooperation between Russia, Brazil, India and China and further strengthen collectivity and law in international affairs. We expect that during the summit the parties will assess the work they have accomplished in the BRIC format and define guidelines for the future. On June 14, another meeting of the Collective Security Treaty Organization (CSTO) Foreign Ministers Council will take place in Moscow. The ministers will prepare their proposals for the agenda of the upcoming CSTO summit. It’s expected that the ministers will approve a number of documents that will provide a legal basis for the creation of the CSTO Collective Rapid Reaction Force (CRRF), including the Agreement on the CSTO CRRF, a decision by the Collective Security Council on changes in staff numbers and the structure of the CSTO secretariat, a decision on additional functions for the CSTO Joint Staff, and a decision on the composition of the CRRF. A number of other documents planned for signing by heads of state, and in particular the Conclusive Statement of the CSTO session as well as priorities for CSTO activity in the second half of 2009 and first half of 2010, will be considered. It’s planned to approve a new Plan of Consultations between representatives from the CSTO member states on foreign policy, security and defence for the second half of 2009 and first half of 2010 and discuss practical aspects of improving the mechanism of foreign policy co-ordination and issues of stepping up the CSTO co-operation with other international structures, as well as improving the mechanisms of counteracting new challenges and threats to security of the CSTO member states. The agenda of the ministerial meeting also includes a number of organisational and budget-and-finance questions subject for decisions by heads of state. Let me mention briefly that in May this year Russia served as Chairman of the UN Security Council. Russia’s presidency aimed at strengthening the role of the Security Council in supporting international peace and security, improving the promptness and efficiency of its work under the conditions of new threats and challenges the world community is facing. More details about Russia’s presidency in the UN Security Council can be found on the Russian Foreign Ministry’s website. Many media outlets have expressed interest about the Russian evaluation of the elections to the European Parliament held last weekend. One of the questions was whether observers from Russia were present. We followed these elections with interest, for it’s a litmus test of developing public opinion in EU member states, the distribution of political forces and preferences. The preliminary results are well known and it would be inexpedient to comment on them here. The results express the will of the people in each country where voting was held. At the same time, we could not have ignored the role of protest voting that led, on the background of the economic crisis, to a victory of some marginal radical parties and opponents of a unified Europe. However, the bulk of the European Parliament members will consist of traditional political forces like right-centrists, socialists and social democrats, liberals and greens. On our part, we hope that the new composition of the European Parliament will take a constructive stance towards Russia and contribute to the establishment of a really strategic partnership between Russia and the EU. We count on the continuation of the established regular contacts between MPs within the Parliamentary Co-operation Committee, or PCC. There were no official representatives [from Russia] at the elections to the European Parliament. However, during the elections, following an invitation of EU Parliament member, co-chairperson of the Russia-EU PCC, Ria Oomen-Ruijten, a delegation of the Russian State Duma headed by the co-chairman of the Russia-EU PCC, deputy head of the Committee on International Affairs with the Russian State Duma, A.A. Klimov, was in Brussels to take part in arrangements dedicated to the problems of electoral practice in EU member states. As you know, recently in South Ossetia for the first time after the republic gained its independence and sovereignty the first parliamentary elections were held. They took place with a big turnout from the electorate in a calm political environment. At 95 polling stations more than 81 percent of voters cast their ballots from 52.3 thousand South Ossetians who were registered to vote. The information on the distribution of seats in the parliament of the Republic of South Ossetia was published by a number of media sources. These parliamentary elections were observed by 120 foreigners from more than 20 countries of the world, including representatives of the Federation Council and the State Duma of the Federal Assembly of Russia, the Russian Electoral Commission, the Council for protection of electoral rights of the citizens (this is a group of Russia’s NGOs), the Federation of Peace and Reconciliation ( this is also a group of NGOs, but from the CIS), the International organization on observing elections the “CIS-EMO” ( this is a Group of European observers). According to the evaluation of the observers who were present, the elections were held in accordance with legislation with high activity by the electorate and in conditions of equal political competition. The parliamentary elections are recognized as free, open and corresponding to international voting standards. This election has become an important factor in the stable development and further democratization of social life in the Republic of South Ossetia. It’s obvious, that we’ve paid attention to the statements made in Washington and Prague on behalf of the EU presidency. We regret that the USA and the EU provided an unjustified negative evaluation of the elections in South Ossetia. They neither recognize the result, nor want to see the real situation as it unfolds. 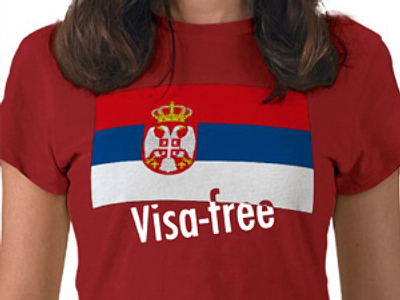 This is an attempt to deprive the South Ossetian nation of the right to build its own life independently. Such statements from the promoters of democratic norms everywhere rather harm themselves. We’re closely following the development of the internal political situation in the Republic of Moldova. The cultural and spiritual ties between Russian and Moldovan nations, which have been held for centuries, as well as regularly developing trade and economic cooperation cannot leave us indifferent to the fate of this country. With satisfaction we note that despite profound political differences between political forces, in our view, the situation is being developed in line with existing Moldovan legislation. Acting precisely in the framework of Moldova’s Constitution the leadership of the country in a difficult situation managed to demonstrate its will in establishing an order, setting up a dialogue with the political opposition and the achievement of national reconciliation, which has also been noticed by our Western partners. We hope that normalization of the internal political situation will help to re-establish in Moldovan society a traditional climate of trust and mutual understanding for strengthening the democratic foundation, creating proper conditions for further political and economic reforms in the country. Such a trend would fully correspond to the interests of the peoples of our two countries, would reinforce the basis of bilateral relations and provide cooperation in the region and stability in Europe. In our opinion, the third International Festival held in the Crimea in June under the name “The Great Russian Word” has become a big cultural and political event for Russian speaking Ukraine. At the opening ceremony of this festival which was held on the 6th of June in Yalta’s palace “Yubileyny” an address from Russian President Medvedev was read to the participants and guests of this festival. Together with the leadership of the Supreme Soviet and Council of Ministers of the Autonomous Republic of Crimea in a scientific and practical conference, which was held in the framework of the festival under the subject “ The Russian language in a multicultural world” and a round table under the subject “Ukraine and Russia is a spiritual, cultural and historic community” for the first time leaders participated from the executive and legislative branches of power of the Ukrainian regions of Lugansk, Donetsk, Kharkov, Poltava, Dnepropetrovsk and Zaporozhye, the deputies of the Supreme Rada [Parliament]. The Russian side was also represented at an authoritative level by its representatives. The festival, the conference and the round table gave a possibility to participants and guests to discuss practical plans for future actions, in particular, active work for consolidation of the Russian world in Ukraine, protection of its legal rights and interests, first of all, in maintaining the Russian speaking environment of Ukraine. The forum is held with the support of the Governmental board for the affairs of compatriots abroad for the third time. It is planned to be held every year in future. On the eve of the briefing I was asked to comment on the situation concerning the order of the Egyptian Prosecutor’s Office to reclaim dirty grain supplied by Russia. Regarding the claims of Egypt towards the quality of the grain shipment due for delivery to Egypt, on the 24 and 25th of May in Cairo the representatives of the Russian Federal service for Veterinary and Sanitary Monitoring held talks with the representatives of the Egyptian Central Administration for Plant quarantine. We think that the technical agreements which were achieved at these talks will help avoid such situations in future. It must be noted that in recent years Russia has become one of the main suppliers of grain to the Egyptian market. It is significant that according to the results of the 7th meeting of the United Russian and Egyptian Commission for commercial, economic, scientific and technical cooperation, the parties documented mutual interest in the expansion of Russian grain shipments to Egypt. Moreover, our Egyptian partners asked Russia to consider the possibility of signing a long-term agreement on such supplies. The Russian Federation regularly provides humanitarian aid to the citizens of the Tajik Republic. In accordance with the Memorandum on mutual understanding between the Russian Federation and the UN World food program (WFP) it is expected to purchase and deliver to Tajikistan more than 9.5 thousand tons of wheat flour for about 5 million US dollars this year. According to the Russian Ministry of Emergencies, at present 60 wagons arrived at railway stations in Dushanbe and Kurgan-Tyube, another 20 wagons are in the process of getting paper work done and the rest of the wagons are in transit. Due to the order of the Russian Government , Russia’s Ministry of Emergencies started to deliver the cargo of humanitarian aid to the citizens of Tajikistan which suffered as a result of the natural disaster which occurred this spring. On the 9th and 10th of June an aircraft of the Russian Ministry of Emergences delivered a cargo of humanitarian aid. The leadership of the Republic of Namibia has asked the International community to provide aid to its citizens who suffered severe floods in the north and north-east of the country, where more than 340 thousand people live. In response, on the 30th of May Russia sent a special aircraft from the Emergencies Ministry to Windhoek, the capital of Namibia, with the humanitarian aid cargo containing tents, blankets, food and medicines. The total amount of expense for providing this aid amounted to about 20 million roubles. Two days before, on the 28th of May, in Bolivia, the aircraft of the Russian Ministry of Emergencies arrived in the city of Santa-Crouse with similar humanitarian aid to assist this country in overcoming an epidemic of Dengue fever. Moscow’s assessment of the result of the 39th session of the General Assembly of the Organisation of American States held in San Pedro Sula (Honduras) on 2-3 June that demonstrated a growing influence of Latin American and Caribbean countries in this general continental structure, as well as the readiness of the USA to conduct a mutually respectful dialogue with its regional partners. We hail the decision adopted at the session about the cancellation of the OAS resolution of 1962 regarding the expulsion of Cuba from the anti-American system. We deem this move, along with the agreement between the governments of Cuba and El Salvador reached the other day about restoring their diplomatic relations, as an important step in the process of full restoration of Havana’s positions in the integration structures operating in the Western hemisphere. Before this briefing, interest was also shown in the international co-operation in combating piracy. In particular I was asked about the results of the third session of the International Contact Group on Piracy held in New York recently. The problem of piracy, first of all near the Somali coast, as has been mentioned many times, causes serious concern among the world community, including Russia. It’s worth noting that the criminal activity of pirates is not dwindling but, on the contrary, is getting more and more organised, with the danger zone in the Indian Ocean having grown considerably. What’s more, one can further expect that interaction between pirates and terrorist groups may be growing. Russia does not only take an active part in the anti-piracy co-operation in terms of initiative discussion of these problems at respective international forums, but is also sending its military ships to the Gulf of Aden to provide security to citizens of Russia and other countries as well as ships disregarding their home country. Pursuant of the instructions of the Russian president we are working, in co-ordination with relevant Russian agencies, on possibilities to consolidate an international legal framework of combating piracy, including, for instance, creating a specialised international judicial structure aimed at providing more efficient criminal persecution of individuals engaged in piracy. It may be a question of establishing an “international anti-piracy tribunal”, for example through a decision of the UN Security Council or on the basis of a special international agreement. We assume that such a tribunal could also have a regional format. We have been discussing these issues with our foreign partners, first of all with the main participants of anti-piracy efforts. Relevant discussions were also held during a crucial, as we deem it, multilateral format discussion at the third session of the Contact Group on Piracy near Somalia Coasts held on 29 May in New York. We should admit that our partners’ position on these issues does not lack controversy. Many note that creating an anti-piracy tribunal would be an expensive and long process. We do understand these concerns. At the same time, however, we are certain that the task of providing the inevitability of pirates’ accountability should be profoundly and promptly elaborated at all relevant international forums on the subject, in all aspects. We are not going to restrict ourselves on some single proposals. The approach should be comprehensive and multi-tiered. Yesterday [Wednesday 10 June], during the 11th session of the UN Human Rights Council, Russia successfully passed the procedure of the Universal Periodic Review [UPR] within which the situation with human rights in Russia was considered. Russia expressed its readiness to implement the recommendations concerning the continuation of its policy on protecting human dignity, freedom of thought, beliefs and religion, implementation of economic, social and cultural rights, the strengthening of national institutions protecting human rights. Without causing damage to international law principles concerning international treaties, work will be continued on joining international agreements on human rights. Due attention will be continually paid to combating manifestations of racism and extremism. Very soon, the Russian Federation is going to start its planned work on implementing the recommendations presented to it. Thank you for your attention. Now I am ready to answer your possible questions. 1) Can you comment on the US Minister of Defence Robert Gates that the Pentagon is considering options for deploying missile defence objects in Russia or any other European country? 2) Does US President Barack Obama’s statement in Cairo mean an advent of any radical changes in the US policy in that region that would possibly lead to a settlement of the Middle East problem? Thank you. Missile defence objects deployed in Russia? [A] Concerning your first question, Russian representatives have more than once spoken out about that problem – the missile defence. Yesterday a report was widely spread that Mr. Gates is allegedly considering an option of deploying missile defence objects in Russia. We paid attention to the US Defence Minister’s comments. Much is formulated the way the US side wants it, but not how things are in reality. We believe, and Washington is fully aware of this – that our co-operation in the sphere of missile defence should be built gradually on an equal terms basis. This co-operation envisages, in particular, joint analysis of potential threats. The basics of the known Russian package proposals are an idea of creating a joint system of situational monitoring of missile weapons spreading and building mechanisms of collective reaction to emerging problems, including in political-and-diplomatic fields. What is more essential, the US giving up plans of creating in Europe the so-called third positional district of the strategic missile defence, which could lay foundations for our fully fledged dialogue on co-operation in reacting to potential missile risks. However, Mr Gates’ opinion is quite opposite: he mentioned, during the hearings in the US Senate subcommittee on defence, it was possible to take some joint steps that would launch, quote, “partnership interaction” unquote, between the USA, Russia, Poland and the Czech Republic, in creating this third positional district. You must agree that we can be in partnership in creating objects essentially aimed at counteracting the forces of strategic deterrence of the Russian Federation. Nobody does anything to damage himself. It’s an axiom. We have told US representatives about our approach many times on all levels. We hope that we’ll still succeed in reaching a common denominator and find a mutually acceptable solution that would take into account our joint assessment of missile challenges and would help strengthen the security of our countries as well as our partners and allies. We have been conducting a respectful dialogue with the USA and will be acting in the spirit of realism. As far as the US president’s speech at Cairo University is concerned, it was, as it is known, programme-stating and caused a response in most countries of the world, and in the Middle East in particular. The assessments vary. On our part, I can say the following. The main motif of President Obama’s visit to the region and his speech at Cairo University lay in the idea of establishing a dialogue and mutual understanding with the Arab and Muslim world. If one succeeds to implement all what was said it will be of course a turning point in American policy in this direction – from imposing their own values towards conducting a civilized dialogue with Muslim countries and the Muslim community. On our part, we would only hail such a change. And it’s quite obvious why I am sure about it. Russia has been and will always be for such a development of relations between countries and peoples who belong to different faiths that would lead not to splits between civilisations but to interaction between cultures and faiths. As is known, for decades we have been actively developing our ties with this important and authoritative part of the international community. The fact that our country received an observer status at the Organisation of Islamic Conference and the League of Arab Nations has added a special impetus to this process. What’s important, we have developed a mutually respecting and rather productive dialogue, not only on a governmental level, but also on the level of civic society. More comments on the US president’s speech have been reported and we are analysing them with attention. I think it will be important to judge as to what extent it will be put into practice of the US administration as regards to the Middle East region and the Middle East settlement as a whole. [Q] Andrey Alekseyevich, what’s the latest about what has transpired with two Russian yachtsmen in Panama and another question, if it is possible, concerning a resolution being prepared at the UN Security Council, about North Korea – recently, the USA and some other interested countries have been insistently saying they have no proof of North Korea’s having really carried out a nuclear explosion, as there has been only seismic activity registered, nothing else, which is no violation of any UN SC resolutions. What will the final draft resolution be based on? Thank you. [A] Thank you. Concerning your second question. The media, and TV in particular, both in Russia and abroad have shown our permanent envoy at the UN, Mr. Churkin commenting on the consultations that ended up with an agreement that a draft UN Security Council resolution will be voted today. So, I would not like to repeat that. As we speak, the UN Security Council may start considering this draft resolution and will eventually put it to the vote. After that, or perhaps before it, national delegations will express their positions. The Russian UN representative will also present a detailed explanation of our position towards this resolution and the concrete proposal it contains. So, I would limit myself to this reply. Let’s wait for the resolution to be adopted and not only Russia’s position and a reaction of UN Security Council members and the countries interested in finding a solution for the Korean Peninsula problem. As for the yachtsmen who have died unfortunately – their bodies have been taken to Panama – Russian citizens, Dubrovskiy Stanislav Vladimirovich and Chervova Yelena Mikhaylovna, residents of Kemerovo Region in Russia. According to information available, in the past several months they travelled on board the Advaita yacht and arrived in Panama on 27 April. On 3 June there were stated as dead. According to the information provided by the Panama authorities, an autopsy carried out on the day that followed, on 4 June, did not reveal any signs of violent death. A special medical laboratory examination of samples from their bodies will be carried out, with results to be known in 15 to 20 days. The Russian Embassy in Panama is rendering necessary consulate assistance to relatives of the dead and is keeping contact with the mayoral office of their home city. [Q] Hello. I would like to ask you to comment on the situation around the case of Mrs. Os’kina who claims that her former husband kidnapped her son and has illegally taken him to Israel. She addressed the Embassy and, according to some media, was promised support but for that she needed official support from the Russian authorities, possibly the Foreign Ministry. What is the Foreign Ministry’s attitude to this, is it really all as the Russian media are describing it? Thank you. Thank you. As you know, the Russian Foreign Ministry deals with such problems. We gather information from relevant sources, and if it’s connected to foreign countries, then from the authorities of those countries. On 9 June, at about 16:00, a statement from Mrs. Os’kina arrived at the Russian Foreign Ministry, saying that her ex-husband, Mr. Drobachevskiy, also a Russian citizen, allegedly took from the territory of our country, possibly to Israel, their son, Drobachevskiy born 3 Nov 02 – he is less than 7 years old [he was six years, seven months and six days on 9 June]. He is a Russian citizen. This act was carried out without his mother’s consent, in which connection, Mrs. Os’kina is requesting to lend assistance in locating her son and returning him back to his Motherland. Following the essence of Mrs. Os’kina’s request, the Russian Embassy in Tel Aviv has been instructed to make necessary queries to relevant Israeli agencies to specify the information provided. Which was done. The Israeli authorities promised co-operation. So far, however, it has not yet been possible to locate Mr. Drobachevskiy and their son. As soon this information is available, we’ll share it with you. That’s all I can say on the subject. [Q] This year, Russia and China are celebrating the 60th anniversary of establishing diplomatic relations between the two countries. Also, a Year of the Russian Language is being held in China. President of the People’s Republic of China Hú JÃ‡ÂntÃ„Âo [Ã¨Æ’Â¡Ã©â€Â¦Ã¦Â¶â€º] is soon going to officially visit Russia. What’s your assessment of the relationship between the countries and the prospects of their development? [Q] Second question. Russia is going to host two summit meetings: of the Shanghai Organisation for Co-operation and of BRIC [Brazil, Russia, India and China]. Could you please tell about the scheduled agenda of the SCO and what results are you expecting? Thank you. [A] First, let me talk about the 60th anniversary of the establishment of diplomatic relations between our countries. It will be celebrated on 2 October this year. Prior to that day, on 1 October, the People’s Republic of China will be celebrating the 60th anniversary of its formation. These two important anniversaries are inseparable from each other and mark the events that not only entered the history of our peoples but also, without exaggeration, have influenced the modern character of international relations. Assessing the state and prospects of the Russian-China relations development, I would like to note that our countries have reached an absolutely high level of political relations, really trustworthy and of strategic character. By the joint efforts of the sides, a new model of the Russia-China interaction has been built and proved to be strong, which is a reliable guarantor of steady progress of bilateral co-operation, with good reserves and capable of solving complicated issues in a constructive way. The relationship of strategic interaction and partnership between Russia and China, which has entered the second decade of its development, fully respond to the national interests of the both countries. We believe that the current model and practice of our relationship with China is a good example of how interaction between states in the 21st century can be built, when a New World Order is being formed based on bipolarity, respect to sovereignty, territorial integrity and choice of a path for national development, equality and mutually beneficial co-operation. As for the project you mention – of holding Years of the Languages – of the Russian language in China this year and the Chinese language in Russia next year, we can say they are a logical continuation of an unprecedented project in the history of bilateral relations of exchanging national years in 2006 and 2007. The events of the Years of the Russian and Chinese languages first of all are aimed at young people, including school children. By learning the language of a neighbouring country, young people can at the same time get knowledge about culture, history and modern times, thus acquiring the ability to understand their neighbours better. And mutual understanding is a basis for all the rest. A large-scale official opening ceremony of the Russian language in Russia was held in Beijing on 27 March 2009, as it was reported at a briefing earlier. We hope that all the other events will be held as brilliantly in holding the Year of the Chinese Language in Russia. We are convinced that the potential of the Russia-Chinese relationship is huge. Its steady achievement does not only meet the interests of our two countries but will also serve the cause of strengthening peace and global stability. During the forthcoming session of the Council of the Heads of State – members of the Shanghai Organisation of Co-operation to be held in Yekaterinburg on 15-16 June, to be attended by Russia, Kazakhstan, China, Kyrgyzstan, Tajikistan and Uzbekistan, it is planned to sum up the work of the organisation during Russia’s presidency in 2008-2009. For the first time, a separate exchange of opinions with heads of state – observers with the SCO on regional security in the context of the global financial crisis will be carried out. The president of Afghanistan and a number of representatives from international organisations, including the UN, CIS, Collective Security Treaty Organisation, Eurasian Economic Community, are due to join the discussion at a plenary session. The Yekaterinburg Declaration is supposed to be the main political document to be signed by heads of state – members of the SCO. It will state the assessment of the modern international situation and mark the irreversibility of the trend towards a real multi-polarity and raising the significance of the regional aspect in addressing global issues. The Joint Communiqué which is supposed to be adopted without signing will determine practical steps on developing co-operation within the SCO in particular directions. The presidents of the six member states will sign a SOC Convention against Terrorism, a document called to develop the legal framework for co-operation in this sphere of priority for the SCO. Due attention is going to be paid to the interaction on Afghanistan, and in particular, to the implementation of the Action Plan by SCO member states and Afghanistan on problems of terrorism, illegal turnover of narcotic drugs and organised crime, adopted during the special conference on Afghanistan held in Moscow on 27 March under the aegis of the SCO, which you’re well aware of. Active discussion is expected about determining optimal possibilities for promoting economic co-operation under the global financial crisis. Humanitarian co-operation will be in a focal point of discussion, too. Adopting by the heads of state a decision to grant Belarus and Sri Lanka a partner-in-dialogue status is due to be a major step in developing international relations between the SCO and a confirmation of its open character. After the summit, Uzbekistan is assuming presidency of the SCO. So that’s it in brief, as regards the forthcoming SCO forum. [Q] Andrey Alekseyevich, the Japanese Parliament, or, to be more exact, its lower chamber, has passed a bill claiming the sovereignty of the country over the four South Kuril Islands and is calling for the soonest return of the “northern territories”. Could you please comment on this? [A] My comment is that is a very disappointing decision. We are closely studying it and will soon present a detailed commentary with our assessment of that document. [Q] Channel One, Finnish TV [unintelligible]. Not long ago one Finn took his son back to Finland and now the Finnish diplomat who helped do this is a persona non grata in Russia. Will Russia react to the situation? Thank you. [A] You know, we have expressed our assessment of what has happened. Considering the schedule of contacts between Finland and Russia on various levels, including the top. We have done everything in a calm and civilised way, and informed out Finnish partners about our concern. At the same time, we continued to build a dialogue on various issues with mutual respect. Thus, we commented on this situation separately. Several days ago, as you know, it was decided that the Consul General of Finland in St. Petersburg is a persona non grata, because what he did contradicts the Vienna Convention on Diplomatic Relations and other related internationally binding documents. This qualification was made after a very thorough analysis of what had happened. We presented our arguments, so at this point I can’t add anything else. [Q] Le Figaro. I have questions about the forthcoming BRIC summit. Is it planned to make them regular, like the G20 or G8? Can one say that the forthcoming summit is a reminder to the US president about the multipolarity of the world, and can one name a factor that makes it possible to the four countries, albeit so different, to be united, and what can their common goals be? Thank you. [A] Concerning the regular character of these meetings, I can say they are held on a regular basis depending on necessity, both at a summit and ministerial levels, as well as in other formats. There is a working order of agreements as to how to hold such meetings: we formulate our agenda and discuss it with our partners to find out the extent of its mutual interest. So, as for summit meetings, it’s obviously up to the leaders of the four states. They agree about particular dates when they would like to have their meeting next time. As for “reminders”, we do not remind anything to anyone. It’s not our approach to address international problems. I want to remind you that the BRIC format was formed before Mr. Obama was elected president of the United States [of America]. So, it will just be another meeting of the BRIC leaders. 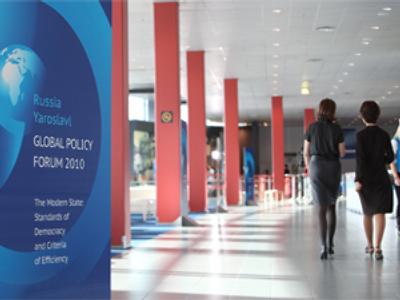 As for multipolarity, this principle is backed by many BRIC members, and not only them as there is a rather good understanding that this principle should force its way forward, for unipolar structures or any approaches in addressing international issues can’t provide equality in international organisations and at forums with a great number of member states take part. It does not correspond to the principles of democracy and respect to other partners, while we solve questions concerning quite a large number of countries and states. Thank you all very much. My best wishes for the upcoming holiday [12 June – Day of Russia], so we’ll meet afterwards. Thank you.